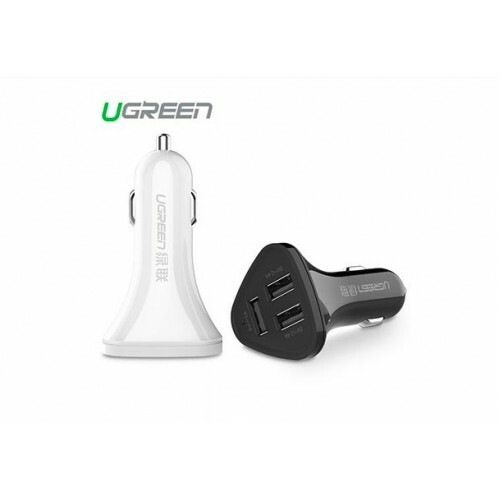 UGreen 29W 3 Port USB Car Charger Black has connectors - USB 2.0 Type A Malex1 and Reversible USB Type C Male x1. 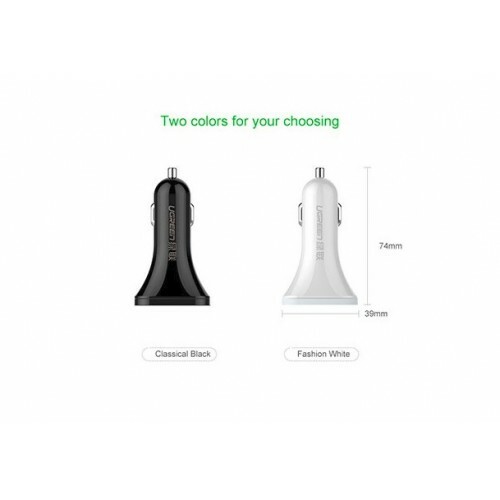 It Supports data transfer spped up to 480Mbps, 3. connect you latest smartphones, tablets and any other upcoming devices with a USB type C connector to a host computer, wall charger, or external battery power bank with USB 2.0 or 3.0; 4. Support USB Type-C current up to 5V/3A. It's foil & braid shielding provide maximum conductivity and minimize data loss.